Hover over the image to save it to Pinterest. Scotland is a land of myth, legend and history, where ancient peaks reach for the skies and deep glens hold secrets of a bygone age. 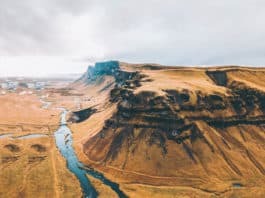 Vibrant cities are rich in culture and rural wilderness areas allow you to escape from the rat race and the hustle and bustle of modern life. 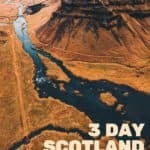 While you will need a lot longer to truly get to know this beautiful and fascinating country, this three day Scotland itinerary will allow you to see some of the most famous and interesting sites and get a brief introduction to the wonders that Scotland can bestow (see more wonders here). 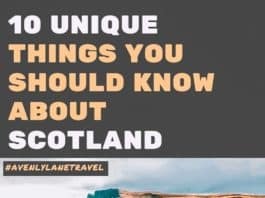 You will begin your tour in Edinburgh, before making your way northwards to the Scottish Highlands, and on to the much-lauded Isle of Skye. Edinburgh is Scotland’s enticing and exciting capital. It is a place that changes swiftly not just from year to year but from day to day. It is a city of quick-changing mood. One moment it can cloud over and feel atmospheric and full of ghosts. At the next, the sun can shine, the crowds come out, and it feels like the vibrant, cultural haven that it has become. 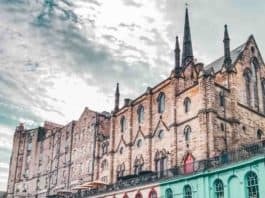 There are plenty of accommodation options in Edinburgh, so suit any budget. Those with a tight budget can camp nearby, or stay in one of the city’s lively hostels. 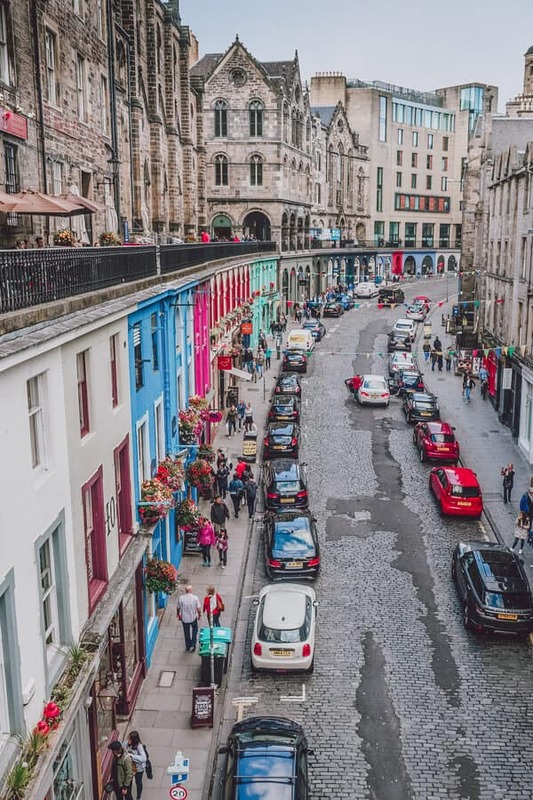 Those who want to get to know the city as locals know it can stay in one of the city’s many B&Bs, or stay in a private dwelling through AirBNB or another similar scheme. If you are looking for luxury, many grand hotels also await. 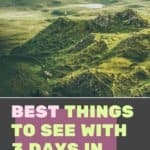 If you don’t want to miss all the must-see attractions in Edinburgh I recommend starting early! In the early morning, begin your explorations of the city by hiking to the top of the hill in the heart of the city: Arthur’s Seat. Climbing over the Salisbury Crags and up to this summit in the early hours of the day will give you stunning views out over the Old Town and the New Town that lie below. Descending once more, visit Holyrood, the seat of Scottish Government at the Scottish Parliament Building and the historic Abbey that lies nearby. Nearby you will find the beginning of the famous street known as The Royal Mile. This historic route runs all the way up through the Old Town area of the city and is lined with myriad historic attractions. Walking this route and visiting many of the museums and historic sites that lie along it is essential for all first-time visitors to the city. 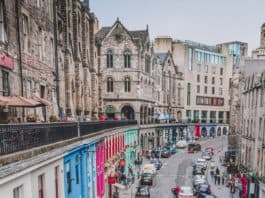 In summer, during the famous Edinburgh Festival & Fringe, the Royal Mile comes alive with shows and entertainment as people throng here from all over the world. The Royal Mile leads visitors slowly up to the city’s crowning attraction – an emblem of Scotland which holds a dear place in the hearts of its residents – Edinburgh Castle. Spend some time exploring this ancient structure and learning some of the stories that make this city the place it is today. 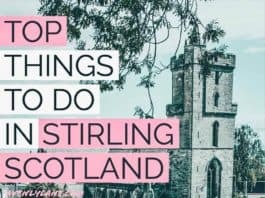 On the second day of your brief Scotland tour, you will make your way from Edinburgh to the historic city of Stirling, gateway to the Scottish Highlands, where you can see another of the country’s most dramatic and fascinating castles, as well as a number of other historic sites. Your next port of call will be the bonny banks of Loch Lomond, in Loch Lomond and the Trossachs National Park. 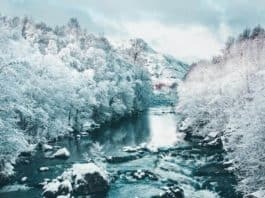 Enjoy some lunch in the historic town of Callander or along the banks of the Loch before you venture northwards on the A82 – one of the most attractive roads in the country. 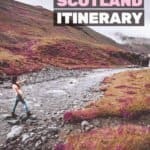 This route will lead you up through Crianlarich and Tyndrum and onwards and upwards onto the breathtaking Rannoch Moor. 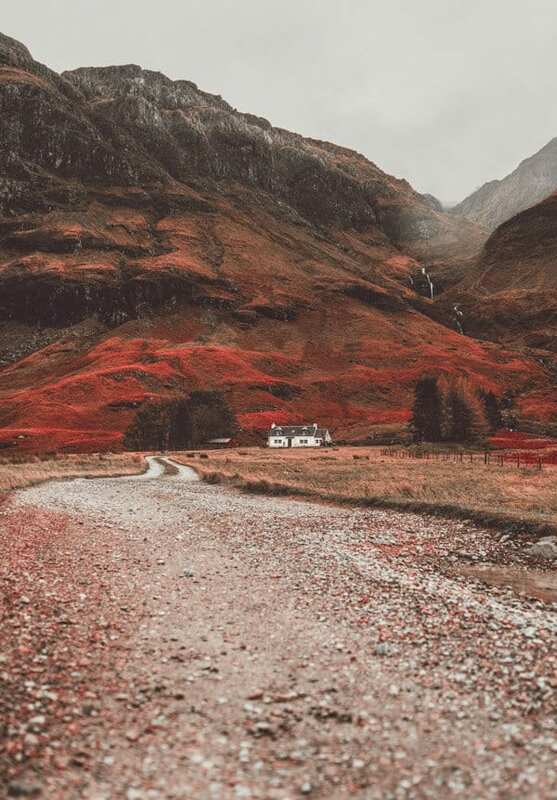 After crossing the stunning, mountain-ringed plateau, you will bear left and sweep round into the famous valley of Glencoe. 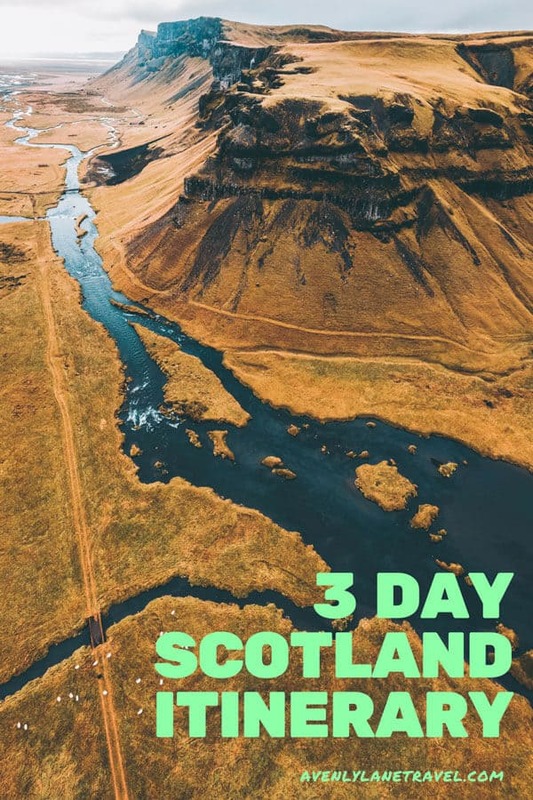 At Glencoe, you can camp, stay in an affordable hostel or a indulge in a more luxurious accommodation option for the night before you continue for the final day of this short itinerary. Venturing forth from Glencoe, you will continue on through the rugged, mountainous landscape. 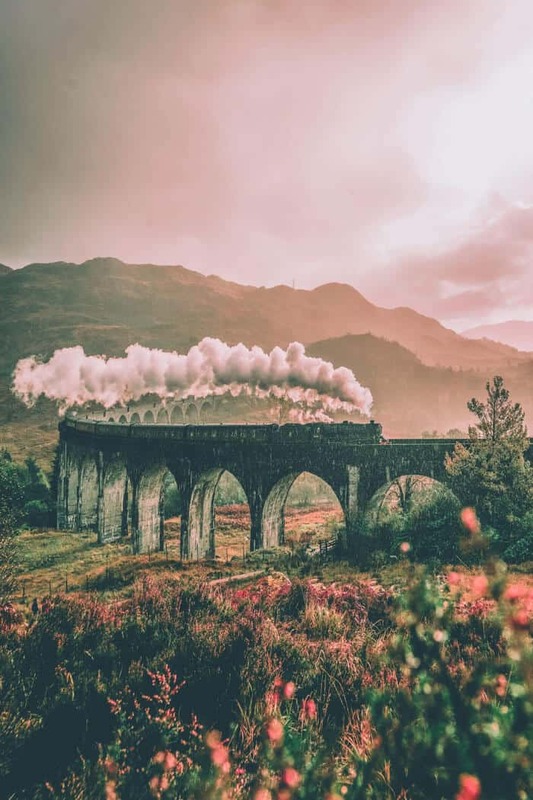 At Fort William, if you have the time, you can take a look at Scotland’s highest peak, Ben Nevis, and perhaps also take a short detour to enjoy a trip to the Glenfinnan Viaduct, made famous as part of the route of the Hogwarts Express in the Harry Potter films. 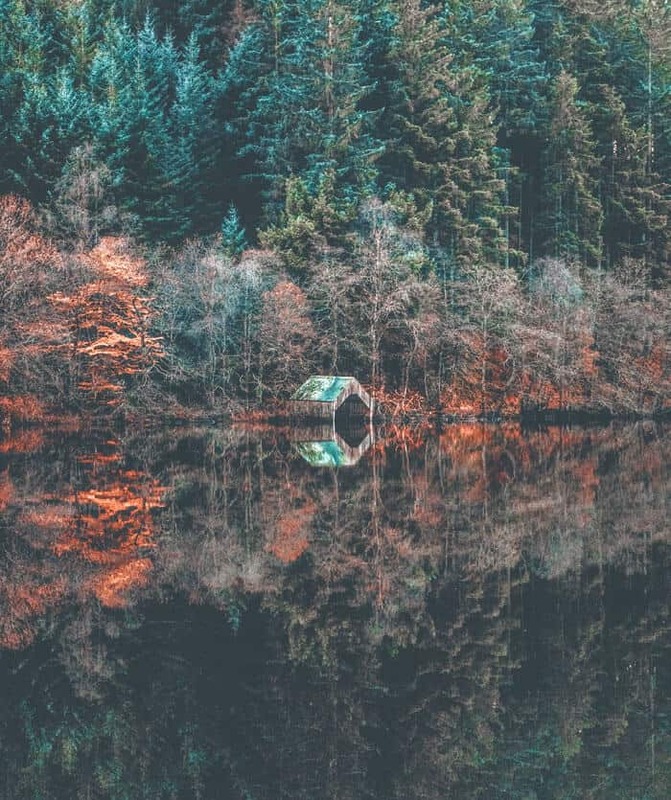 Continuing on the A82, you will travel up the Great Glen and find yourself on the banks of Loch Ness, the famous home of the Loch Ness Monster, or Nessie, as she is sometimes known. Whether or not you catch a glimpse of this mythical beast, you can see the historic remains of Urquhart Castle. Next, you will make your way west, to cross the bridge onto the Isle of Skye. 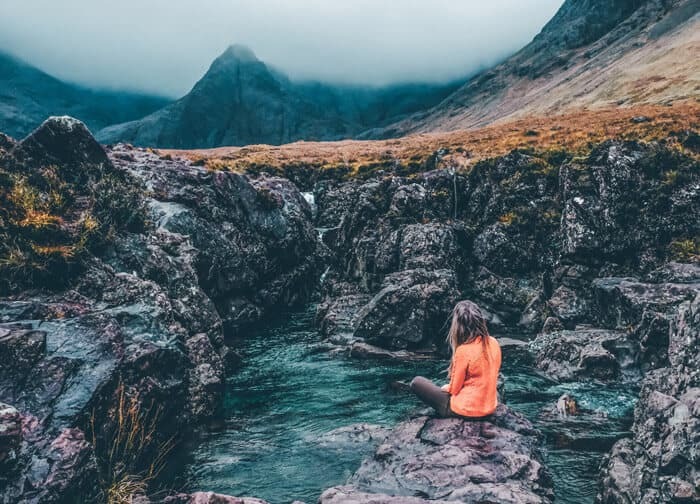 Here you can enjoy the majestic Cuillin mountains, and explore Scotland’s myth and legend at the magical Fairy Pools. Here, many waterfalls plunge scenically into a series of pools. 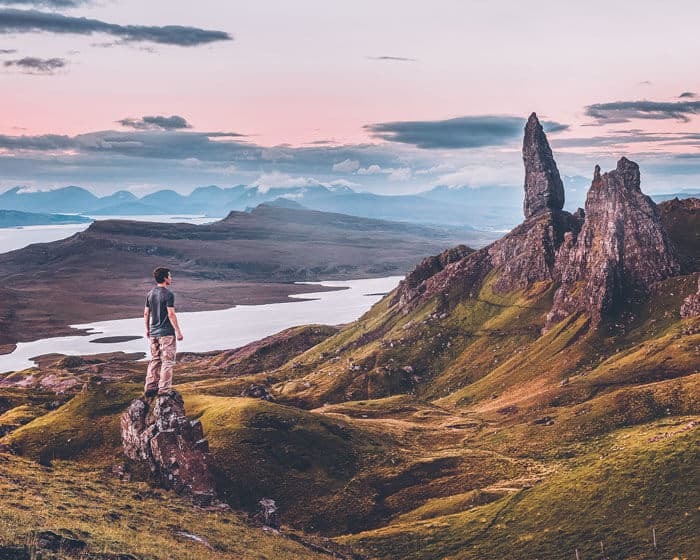 Skye is the largest island of the inner Hebrides, and there is plenty to see and do here for those interested in history, both man-made and natural. Again, you will find a range of accommodation options, ranging from the affordable and rustic to the sophisticated and luxurious, so you are sure to find somewhere suitable to spend the final night of your brief tour. If you have time, Scotland has far, far more to offer. This is not a country that you can see all of on only one brief trip. 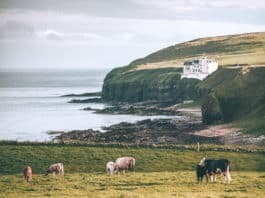 Consider extending your tour by continuing to the north and taking the road trip route known as the North Coast 500, making your way up and round to Inverness. 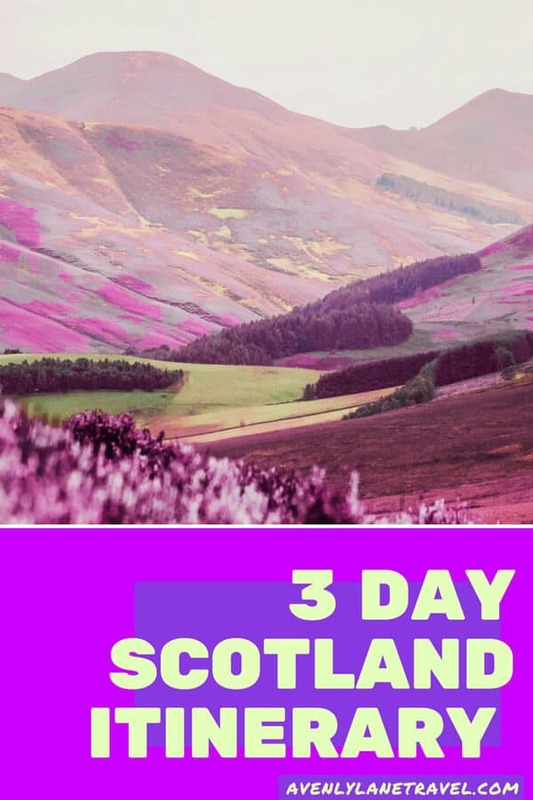 Before you return to Edinburgh, you may also like to visit Cairngorms National Park, another highlight of the country, where you can enjoy ancient forests and soaring peaks before you make your way back to the capital. Why Edinburgh vs Glasgow, read here. If you enjoyed this post don’t forget to share it with your friends to Pinterest, Facebook or Twitter! Thank you so much for reading.